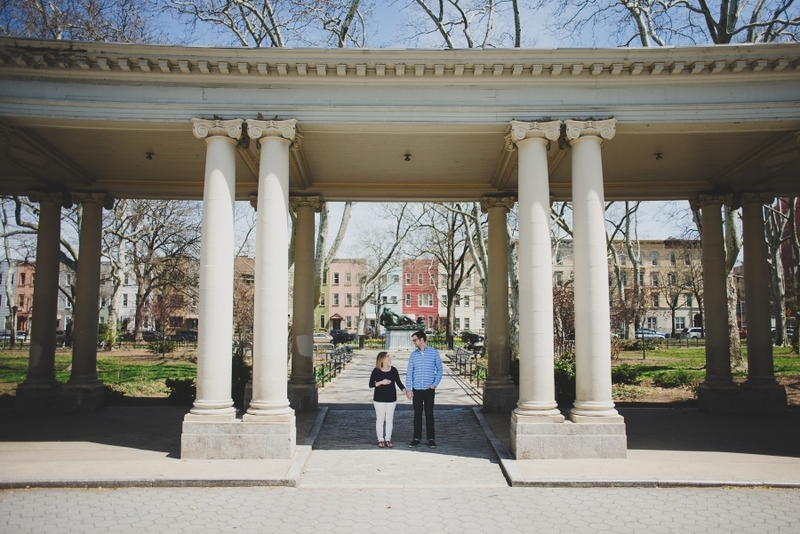 Jim and Erin opted to have their session in my neighborhood of Greenpoint, Brooklyn because they used to live here and they miss it! Understandably, they have since moved to the suburbs to accommodate their expanding family, and I could not have been more pleased to stroll down memory lane with them. We walked around McGolrick Park (one of my absolute favorite locations! ), nabbed a shot or two in front of their old apartment building, and rounded out the session with delicious sandwiches from Lunchbox.